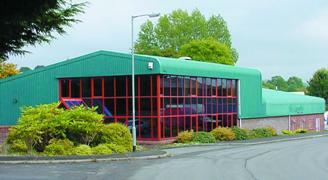 Coker Engineering are located in Chard, Somerset in the South West of England. Coker have been providing CNC Precision Engineering Services for over 30 years and have provided precision engineering solutions to a broad spectrum of industries in the UK, Europe and Globally. As a CNC Precision Engineering Company we specialise in CNC Turning and CNC Milling services and can help you develop your products regardless of their stage of development: Whether its just an idea, an initial design sketch or draft design drawings or you are already in production and want to improve quality, timeliness or cost efficiency – Coker CNC Precision Engineering can help. Contact Us today by either completing our simple contact form, telephone: 44(0)1460 67162 or email info@cokerengineering.com and one of our representatives will call you back as soon as possible. Coker Engineering operates 22 CNC Precision Engineering machines from a 900m² purpose built engineering facility in Chard, which makes us one of the largest engineering companies in the south west of England. Our production capacity, wide range of experience in many industry sectors and our knowledgable and experienced engineering staff enables us to offer our customers the level of service they need from their CNC Precision Engineering partner. So, what makes Coker a CNC Precision Engineering Company you can Trust? to improve upon your current supplier (or even your in-house production methods). You can rely on Coker to deliver world-class product, at market beating prices, time after time. Coker Engineering – A CNC Precision Engineering Company you can Trust.